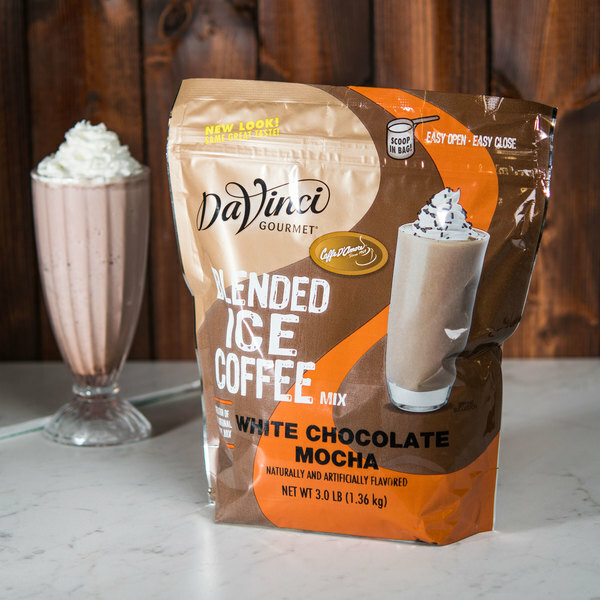 Quickly and easily whip up serving after serving of tempting and profitable frozen drinks with this DaVinci Gourmet ready to use white chocolate mocha mix. This mix combines the taste of sweet white chocolate with rich chocolate mocha flavor and robust coffee. It is recommended to blend 1 part mix to 2 parts ice for simply sweet frozen beverages. Or, you can add milk, ice, and a flavoring syrup of your choice for an extra creamy blended ice coffee or frappe. Featuring the sweet taste of a white chocolate mocha, this versatile mix is also great for flavored coffees, frozen dessert drinks, cappuccinos, and more! This mix can even be added to smoothies and shakes for customers of all ages to enjoy! Easy to blend into any drink, it is ideal for coffee shops, cafes, bistros and other high volume venues looking to quickly and easily serve customers. Plus, you'll be able to enhance your drink menu with new, flavorful items! 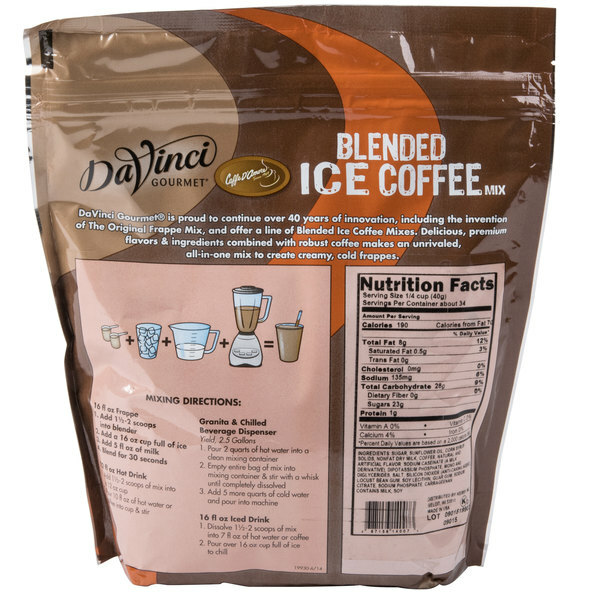 DaVinci Gourmet ready to use mix is packaged in an easy-open, easy-close 3 lb. 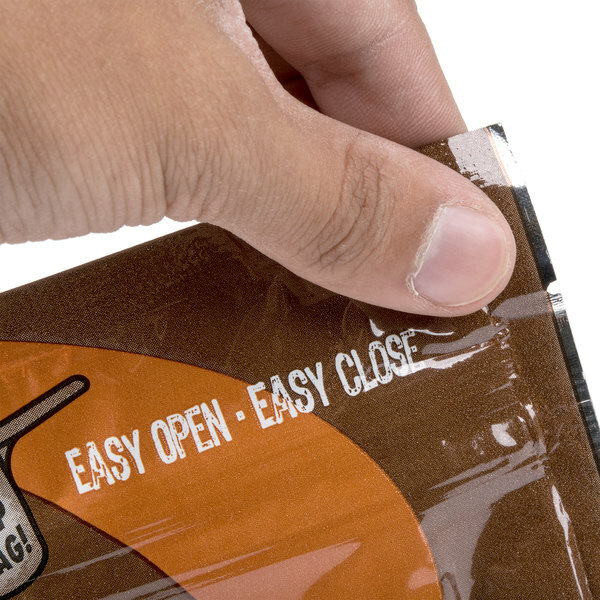 resealable bag that keeps any unused product fresh. I am not really a white chocolate fan but I did end up liking this mix. It is really easy to make and it is super creamy. The ready to use white chocolate mocha mix is a great product and a perfect match for our bakery. A great sweet white chocolate taste and very creamy. The DaVinci gourmet ready to use white chocolate mocha mix is two thumbs up. Tastes wonderful. Almost just like the one I get from the local barista stand. A really great tasting white chocolate mocha mix that makes top quality drinks in seconds. The price is great and our customers love this flavor. Personally I'm a huge fan of white chocolate. So of course when I discovered that there was a Mocha mix I had to try it. I loved it so much that it quickly became a regular in not only my home but at vendor events as well. It's not to sweet and has a creamy smooth taste. 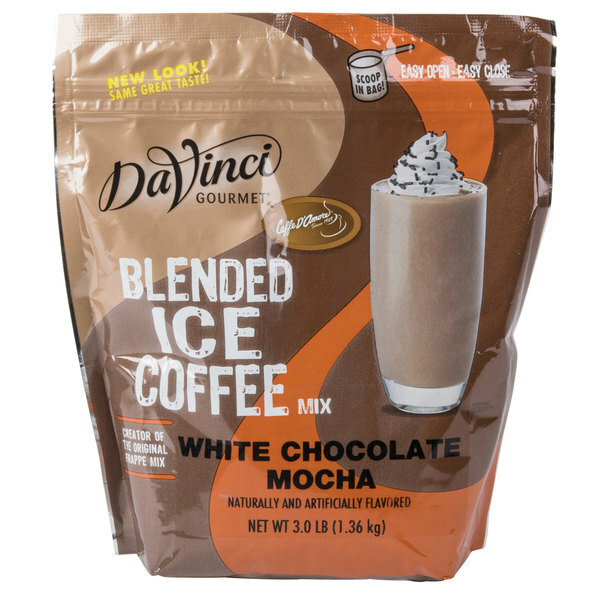 The DaVinci gourmet ready to use white chocolate mocha mix is great and decadent. A lovely way to make drinks at our Christmas party with no mess and hassle. My husband bought this for me for christmas becasue he knew I loved the Ghiradelli white chocolate mocha and they stopped making it. He thought I would like this and bought it. I make my with hot milk I usually do about 10oz of milk and then a scoop and a half of the mix. I top it of with homeade whipped cream. I love it. I only drink it on occoasion when I have to be at work really early in the morning, I will definately get again when I am getting low. The Jet White Mocha mix turns an ordinary cup of coffee into a great cup of coffee. It mixes well with the hot coffee. You have to be careful that you don't add to much or it can get too sweet. Dumping it into a blender to make a frappa style drink works OK. The Jet White Chocolate Mocha Ready to use Mix - 51 oz. I am so glad webstraunt is offering us this wounderful product. i've been paying alot more for my mixes. You can't beat the price. This blended white chocolate mocha mix is delicious. Customers love chocolate mixed drinks and we go through a lot of mix! Definitely a great buy! Het white chocolate mocha ready to use mix made a positive experience for customers. they like it's flavor. this product has made preparation a much better experience.